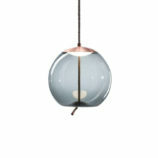 BROKIS – a synthesis of exquisite design, superior quality, and the remarkable craftsmanship of Bohemian glass artisans. 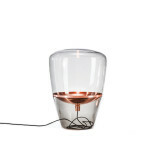 Based in the Czech Republic, BROKIS produces exclusive glass lighting born of the skill of outstanding artisans continuing the age-old Bohemian glassblowing tradition. 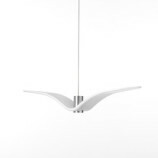 Playful, amusing, surprising, the Memory collection of ceiling and wall fixtures kindles the imagination and takes the beholder back to the carefree days of childhood. 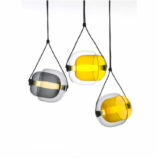 Three sizes and a range of colors allow you to turn your creativity loose in devising various lighting experiences. 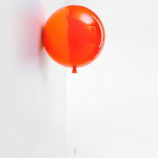 With the hanging strings serving to switch the lights on and off, there is nothing to interrupt the illusion of real balloons. 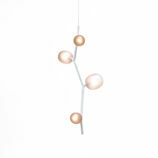 This is beauty in its simplest and most effective form. 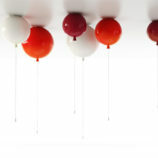 Puro Contour are luminescent geometric patterns in space primarily intended for hanging above tables; however, thanks to their abstract character, they aspire to a variety of uses in interiors and projects. 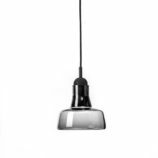 The Puro collection comes in matt opal white or smoke grey glass, but customers may also choose from a wide range of custom colours. 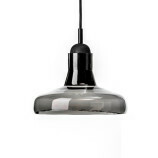 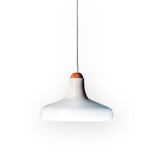 PURO is a boldly minimalistic variation on atmospheric pendant lights. 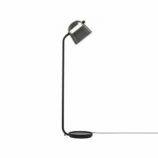 Inspiration for the collection and its name come from the Spanish word for Ïcigar, which also means Ïpure and is a reference to the composition’s clean lines. 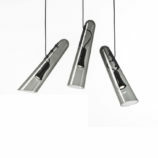 The design creates an intriguing interplay between horizontal and vertical luminous cigar tubes levitating in space above simple bell lights. 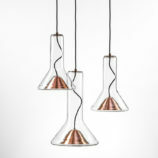 The diffused glow of the tubes combines with that of the bells to elicit a dynamic ambience, while the alternating gloss and matte finishes provide a degree of provocation. 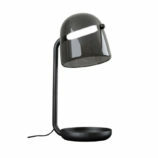 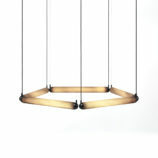 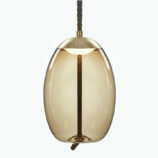 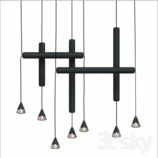 PURO offers atmospheric room lighting as well as lighting for offices, hospitality interiors, and private dining areas. 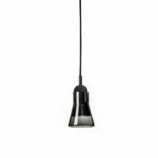 The collection comprises a single bell light suspended beneath a vertical tube and dual bell lights suspended beneath a horizontal tube. 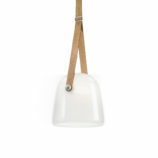 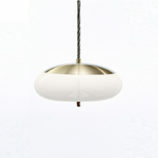 Suspension Whistle lamp constitutes a symbiosis of two different forms or their multiplication. 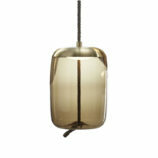 As the external shape is following the ray of light, it symbolically portrays the shape of traditional whistles. 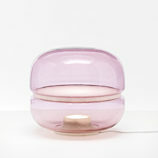 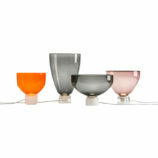 This design follows a series of lamps made of transparent glass with a more technical appearance. 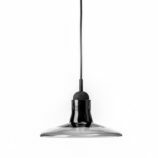 Inserted spot lamp is highlighted by offset inks, outer form creates an impression of the shade of an internal soul of the pendant and further define the precise shape of elongated pipes. 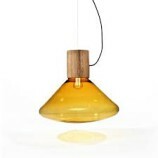 Hand-blown objects create a visual line of archetypal lights directing light downwards. 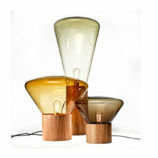 Whistle lamp collection consists of three glass pipes of larger dimensions and showcases the mastery of the material and the Czech glassmakers.